Whit’s on this Guy Fawkes weekend? Though there won’t be as many fireworks as expected, this weekend, there’s still plenty to see and do. Three Nights — Three Gigs! There was plenty of tricks, last weekend. But if you’re still up for a party, you’re in for a real treat! The Sound Archive has three nights of music just for you. Starting, tonight (Friday) with their Hallowe’en Ball, which will see the Stereo Lobsters perform in spooktacular fashion. Doors open at 9pm. Open to 18+. Saturday will be a night to remember, with Shetland group The Revellers due to play the venue from 10pm. Open to 18+. 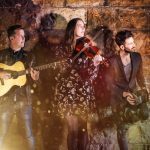 Then, on Sunday night, keep your toes tapping with some modern folk from award-winning trio Talisk. Doors open at 7.30pm. Open 14+. Film fans delight! The Screen Machine is back in town. 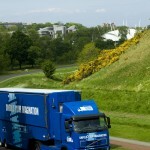 Starting this weekend in Westray, the mobile cinema will be entertaining audiences throughout the county as it tours through the North and South Isles until Wednesday, November 14. Films on the roster are Mama Mia! 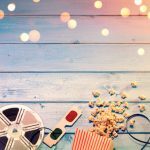 Here We Go Again!, BlacKkKlansman, and The Rider. The Harray-based imprint has been quiet for a few years, but Brae Editions will launch its latest publication at the Pier Arts Centre this Saturday. 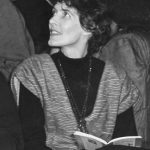 The Tiny Talent: selected poems by Joan Ure, co-edited by Richie McCaffery and publisher Alistair Peebles, will be introduced to an Orkney audience with readings by Ann McTaggart. A not-for-profit publisher based in Orkney is to launch a new collection of poetry, this weekend. 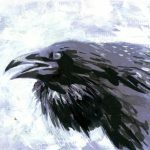 The Crow in the Rear View Mirror, published by Hansel Co-operative Press, will go on sale after a special reading at the Stromness Library, this Saturday, at 2pm. The collection includes work from both Orkney and Shetland writers. Out today, Friday, is Richard Shearer’s new book, Memory’s Gate. 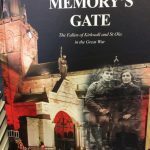 Published by The Orcadian, this book is dedicated to the men of Kirkwall and St Ola who made the ultimate sacrifice in the Great War, 1914-1918. Richard will be signing copies on Saturday, November from 2pm at The Orcadian Bookshop. Fancy catching a flick, this weekend? Well, there’s plenty on show at the Phoenix Cinema, Kirkwall. Catch a special showing of 1968 zombie thriller Night of the Living Dead (15), at 8pm tonight, Friday. A journalist clashes with his violent alter-ego in Venom (15), screening all weekend. Fancy a laugh? Good — because everyone’s favourite blundering secret agent is back. Johnny English Strikes Again (PG) will be n this Saturday and Sunday night.